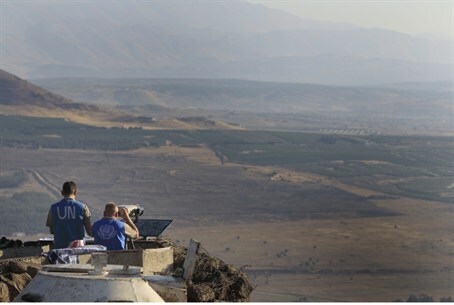 Left-wing commentator and reporter Ari Shavit admitted Thursday that he was wrong about giving the Golan region to Syria. Shavit revealed his change of heart in an opinion column in Haaretz. Shavit explained that he once believed that peace with Syria would prevent war, isolate Iran and limit its power, and lead to the disarmament of hostile forces threatening northern Israel. He believed peace with Syria “would be stable, like the peace with Egypt,” he added. He recalled his efforts to promote the Golan withdrawal, including TV appearances. He thought his opponents’ position was “unreasonable and immoral,” he said, and he thought history would prove them wrong. Instead, he said, the opposite occurred. Looking at the situation now, he said, he believes that his opponents were right. If the Golan had been traded for a declaration of peace in 2000, he said, today there would be frequent shooting attacks, terrorism targeting Israeli towns, and attempts to poison Israeli water sources. The Golan would be more dangerous than the Sinai, he added. Shavit reassured his readers that he has not joined the political right, and still believes Israel has a moral obligation to try to make peace with its enemies. He still seeks to “end the occupation,” he said – but carefully, with weight given to the warnings from the political right.